Wear this beautiful Engelsrufer necklace as a reminder that you are loved and protected. 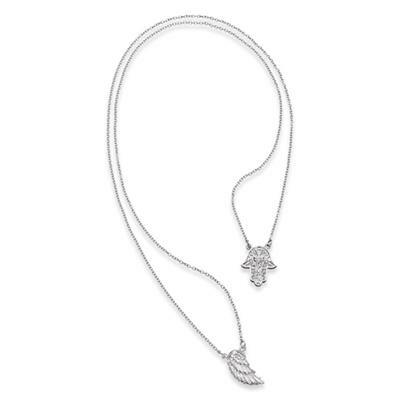 A long 925 Sterling Silver chain carries an angel wing and a Hand of Fatima, symbols believed to deflect negative energy and protect the wearer from evil. This sentimental piece is a beautiful gift for anyone who has lost faith or needs some guidance.